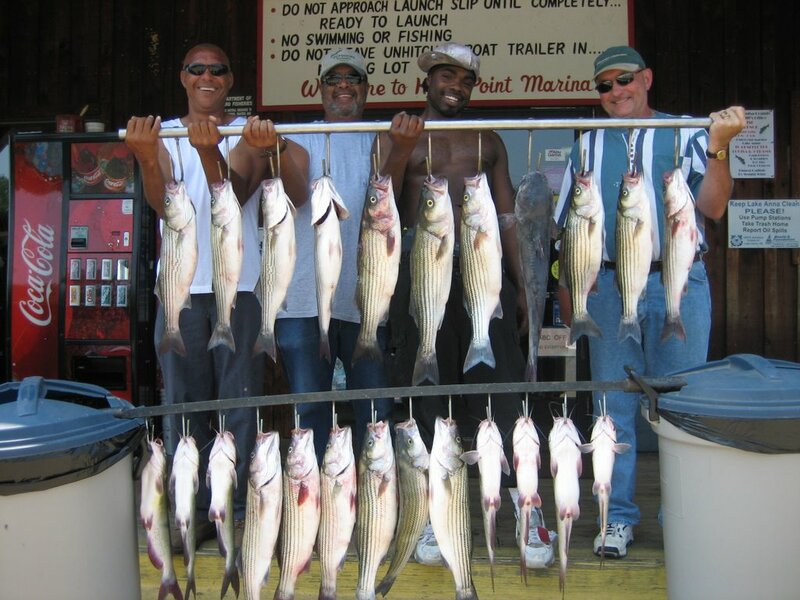 Got out early again to catch bait and picked clients up at 5:30 am at the dock. Cruised for 5 minutes and located a nice school of Stripers in 30' of water , put downlines on them and got hit 35 times in 20 minutes. That school petered out and I looked shallower and found 2 different schools in 25' flats. Lost them and looked for 2 hours everywhere finding nothing and finished up the day running 25' flats. 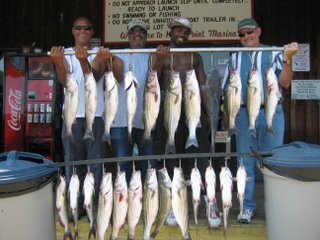 Clients had well over 110 hits, caught 25 Stripers and 10 cats, keeping 16 Stripers and 8 Cats.